You might think that the life of a grid polygon would make a rather dull story. We’d beg to differ - it’s downright reality television exciting at times! Critical decisions (what source to choose??) – life-changing events (I’ve been re-surveyed!!) - and changes that send waves rippling through the community (sorry, section 3, we’re moving your corner and the rest of you are just going to have to adjust to it). Mike Schiewe, WhiteStar’s GIS Manager, is the one who juggles this production’s cast and crew, ensuring that each new episode that arrives in your GIS system is the best it can possibly be. Here are just a few highlights from seasons past! While building out the lots, tracts, and quarter-quarters for the state of Kansas (no small feat in itself), a very unique situation arose. At Fort Dodge, a U.S. Military Train Depot appeared to require some pretty unconventional modifications to the section and township grid. Upon research, and thorough review of the 13 plat maps for the township, sure enough – a very special polygon was created and the impacted layers adjusted. It’s not very often that a man-made feature imposes itself onto the PLSS survey. In western Colorado, not too far from Grand Junction, a set of sections were highly confused. They had been originally digitized from USGS 7.5’ topographic maps, but the BLM insisted they were out of place. What’s a poor section corner to do? It turns out that the Mesa County GIS had the answers. This agency maintains very accurate GPS monument locations, and the sections were spatially adjusted to these points – a substantial improvement. Some states require a constant stream of care and attention, and Texas probably tops that list. 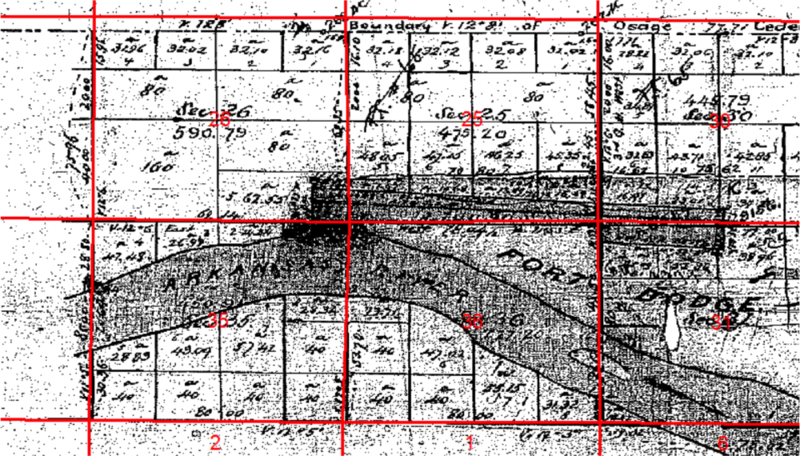 The Texas Land Survey is an interpreted database – original survey notes were compiled, and lines projected onto the USGS 7.5’ topo maps for the blocks, surveys, abstracts, subdivisions, lots, and tracts. This was a good starting place, but since then, surveyors have spent countless hours in the field – verifying and updating corners with GPS. The WhiteStar crew devotes much of its time to integrating this flow of accuracy enhancements (including attribution) into our master database. Ultimately - though we do like to inject a bit of fun into the day - providing the best grid data in the business is a serious undertaking. Mike and his production crew do a brilliant job of balancing data sources, researching the nitty gritty when need be, and ensuring that you end up with a top-quality, reliably accurate foundation for spatial decision-making. We have great data – and it’s in no small part due to the talented team behind the scenes. Is Your Data Acquisition Process Broken?